According to Calciomercato, Milinkovic-Savic is still a target, although it’s added that he is believed to still be valued at around €120m. The report makes an important point though, as while it’s suggested Milan will look to reduce that asking price, they have a strong case for it given the 23-year-old has only managed to contribute four goals and an assist in 27 appearances so far this season. That doesn’t stand out as a player worthy of a price-tag in excess of €100m, and so it remains to be seen whether or not a deal can be negotiated in the summer for Milan to bolster their midfield options. Meanwhile, the agent of Deulofeu has described Milan as the Spaniard’s “home”, while refusing to rule out the possibility that he returns to the San Siro in the summer after a move failed to materialise in the January transfer window. “Gerard enjoyed his best form there, Milan is his home,” he told Calciomercato. “It’s a club he cares about, he spent a good six months there. 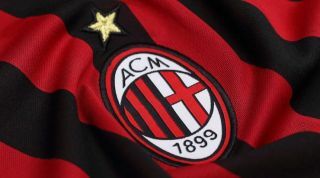 He follows the Rossoneri with great affection. The 24-year-old bagged four goals and three assists in 17 Serie A appearances during his loan spell with Milan in 2017, and given that the club are still struggling with a lack of quality and depth in the wide positions in the final third, Deulofeu could certainly be a crucial addition this summer.